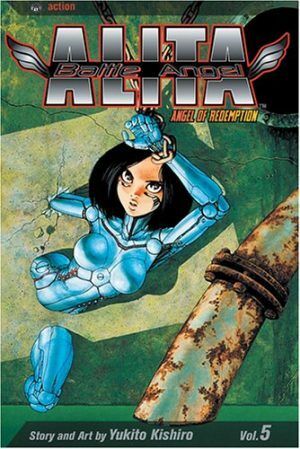 Once you’ve realised it’s the case, the sweeping changes Yukito Kishiro brings to each Alita story arc are something to anticipate. Killing Angel and Angel of Victory combined for his sports story and Angel of Redemption focuses on a mad scientist. 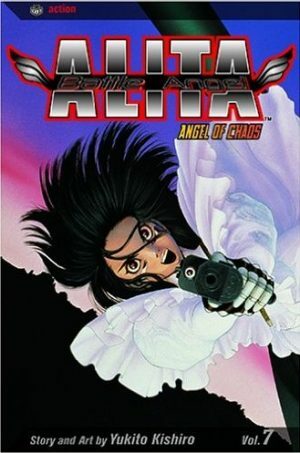 It’s been two years since Alita’s Motorball experiences, and she’s come to a new understanding with one time bounty hunter and engineer Daisuke Ida. He’s now settled, looking after an infant child and helping to run a bar for bounty hunters, but there are still mysteries about him, such as why someone from the advanced elevated city of Tiphares is slumming it with the inhabitants of the Scrapyard. He’s not the only one. Daisuke has learned of one Desty Nova, also with advanced engineering skills, and, frankly, with more than the single screw loose. He’s the first time Kishiro has slipped into the manga standby of hyperbolic exaggeration. Everything he does is accompanied by large gestures. Also key is Zapan, who has a burning hatred of Alita. He’s fallen on hard times, and those times are about to become even harder as the rogue bounty hunter becomes the hunted. He once provided a stern test, but as Alita has grown and become more centred, the likes of Zapan are no challenge for her. In order to escalate his threat Kishiro reconfigures technology introduced earlier in the series to good effect. 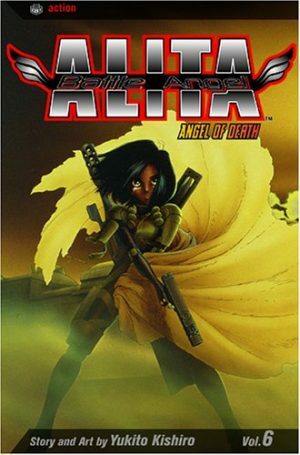 Newly introduced to Angel of Redemption are robot dogs, wonderfully designed to resemble a variety of real life dogs, and they fit what’s almost a Western, pitting the lone hero against something so powerful everyone around her just wants her to surrender to stop them coming to further harm. Kishiro uses an astonishingly compressed form of storytelling, escalating his menace from unknown to widespread terror very rapidly, and while this results in a spectacular battle, the shorthand reduces the suspense. 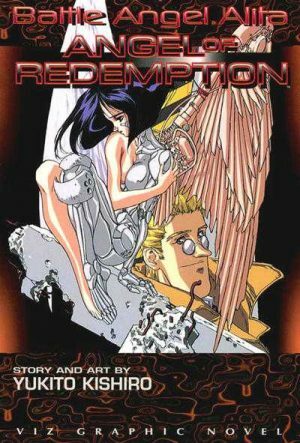 Although not apparent, Angel of Redemption is a turning point for the series. 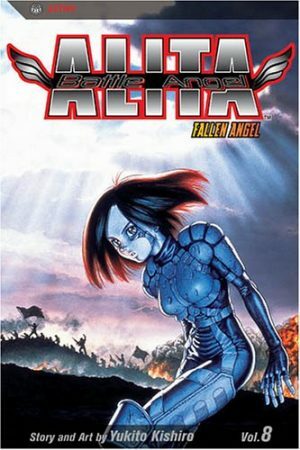 Kishiro seems to have now cemented his ideas on what Alita is, what her background is, and what the connection between the Scrapyard and Tiphares is. From Angel of Death onward that takes precedence. 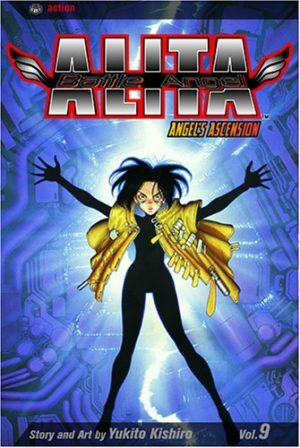 That’s combined with this in volume three of Battle Angel Alita Deluxe Edition.